Is there any connection between the apparent suicide of an ex-policeman and the disappearance of a nun from her convent in Mombassa? Kenyan Detective Daniel Jouma and his English friend, retired detective Jake Moore, who now runs a fishing boat charter are dropped very suddenly into the case—even though no one wants them there. To complicate matters even further, they find themselves up against a ruthless corporation bent on bulldozing some native people out of their homes, sweeping government corruption, and the murder of Jake’s American friend and benefactor Martha Bentley. The author introduced his two detective characters in his earlier book Bait, and now brings them back for this one, still located in the exotic environment of modern-day Africa. He not only loads the dice with a mixture of seemingly-unrelated happenings, he pulls forward a strong thread of connection between what they are doing now and their past case of breaking up a human trafficking ring. The past has reached out with long tentacles to claim Martha Bentley’s life, and now Jake Moore or his charter boat partner Harry might be next. 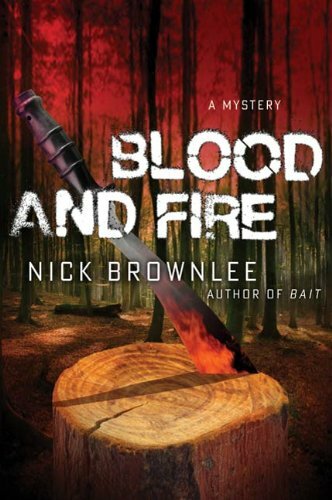 It takes skill to weave a plot as complicated as this, let alone create characters with whom you can sympathize, but Brownlee has managed it for his second book. He also leaves the ending ambiguous, even though some of the crimes are solved, just to leave us hanging and waiting for his third book, Machete. Now I really dislike cliffhangers at the end of a book, but if Brownlee wants to keep us reading him, he’s certainly set the hook in what promises to be a lively series.